Barbera Sarda – is an excellent red wine grape variety from Italy. Barbera Sarda is an excellent variety of red wine grape which recognizes its birth in Italy. This grape variety is abundantly grown on the Sardinian island where it is frequently taken into use for the addition of acidity into the blends. Sardinian Barbera and Barbera are very similar as to their names; however, the former doesn’t entertain any kind of genetic relationship with the latter. This grape variety is considered as one of the most excellent varieties of grape that tends to produce the wines that are highly rich and tasteful. This grape variety is mostly vinified by its own-self and entertains a good level of acidity. The vines of this grape are grown near the Cagliari city, Sassari as well as Oristano. This grape matures a tad bit later than other varieties of red wine grape and produces the wines that are solid, red and quaffing. Today, the plantation of this variety of red wine grape has become limited to the island of Sardinia. 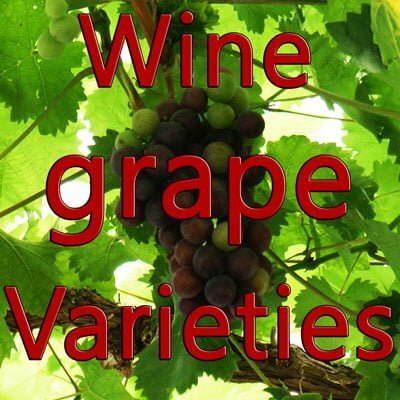 This grape variety serves as the most recommended variety of grape there and it is mostly used for the production of wine in the concerned as well as nearby regions and provinces. This grape is used as both varietals as well as a blend. By the year 2014, the Vitis International Variety Catalogue could not coin out any official synonyms of this grape and this clearly exhibits the exclusive nature of this grape. This grape produces some quintessential varieties of wine that are enjoyed and savored by a number of wine lovers. Before the late 20th as well as early 21st century, this variety of red wine grape was considered as the local clone of the grape variety of Piedmont by a majority of wine growers. At the same time, various ampelographers suggested that this variety of red wine grape could also be related to the very famous Carignan which has always been very famous in the various regions of Italy such as Mazuelo. But the DNA analysis of this wine grape showed that it is an independent variety of red wine grape and in no way related to any other grape varieties biologically or characteristically. According to some of the ampelographers, PiedmonteseBarbera could be considered as the parent of Barbera Sarda. However, no relationship of this red wine grape with the other varieties has been recorded as of the year 2012. Barbera Sarda entertains a number of diverse features. The vines of this grape are medium leafed, pentagonal, medium clustered, pyramid shaped as well as five lobed as to their appearance. The berries of this grape are clustered with each other and are very compact, small and spherical. These berries are very much covered in the skin and are moderately thick. The period of germination of this grape is also very late. This grape doesn’t demand any specific needs as to the terrain or climate. The wines produced out of Barbera Sarda are very rich and tasteful as to their flavor. If we talk about the appearance of these wines, they look gorgeous. They entertain an amazing color of a dark cherry which is highly fascinating and admirable. The wines produced out of this grape either taste fruity or flowery and nutty. The fruity taste that these wines carry, involve flavors of fried strawberry, blackberry plum as well as dark cherry. The other flavors of the wines produced out of Barbera Sarda include flavors similar to lavender, violet, incense, nutmeg, vanilla as well as anise. The level of acidity of these wines is relatively high and the tannin level of these wines is low. All the wines produced out of this variety of red wine grape are traditionally enjoyed within a period of 2-4 years of its maturity. Barbera Sarda is that variety of red wine grape that complements a majority of food. Almost all the wines produced out of this grape variety go well with all kinds of foods. The wines produced out of this red wine grape variety, taste amazing when they are paired with herbs, mushrooms, herbaceous cheeses such as blue cheese, other tannin foods such as braised greens and root vegetables. The congruent pairing of the wines produced from this grape is done with the food items such as sour cherry, cinnamon, nutmeg, etc.